The ensemble Camerata Köln (Cologne Camerata) is one of the most long-loved chamber music ensembles for early music in the world. Under the name of Camerata Köln a handful of music students founded the ensemble in 1979 at the music conservatoire in Cologne. 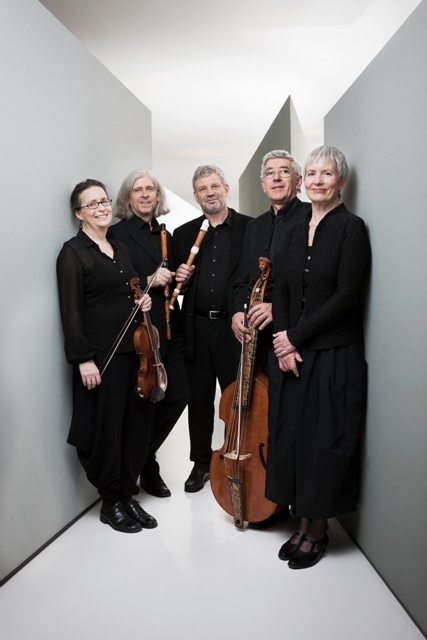 Ever since then, enthusiasm for the music of the seventeenth and eighteenth centuries, the desire and imagination to pursue wholly new sounds and forms of interpretation, artistic approaches and stage presence in combination with a great deal of research and spontaneous desire for music making have marked the work of the ensemble and their international concerts. After many years and extensive engagement with the better and lesser-known composers of the baroque and classic periods, the members of the ensemble Michael Schneider, Karl Kaiser, Christine Busch, Rainer Zipperling und Sabine Bauer consider themselves ambassadors of a musical art which, despite having been penned a long time ago, can still move modern audiences emotionally, spiritually and aesthetically, and can therefore be called "contemporary". Emotion, energy and structure are the major theme which Monteverdi, Bach and Haydn made the objects of their art; and it is these topics which build a bridge to the present and current needs of audiences. The intention of art today continues to unite and present the complexities of the various aspects of human forms of expression. For the musicians of Camerata Köln it was therefore binding to integrate modern-day music into their repertoire. The union of contrasts, expression and maturity independent of trends, as well as fashion, enthusiasm and relaxed virtuosity are qualities which critics as well as audiences continually ascribe to the concerts and numerous CD productions of Camerata Köln.